Movie Rating: What's Up, Doc? Anyone interested in concert tickets for the Barbra Streisand concert in Amsterdam 6 June. Is anyone interested in buying an unused $400 ticket from Jan 1, 1994 @ the MGM Grand? Kept perfect! 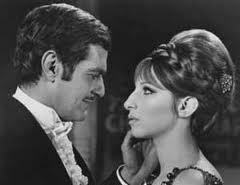 Only a few célébrités can truly claim the titre of “living legend,” and indisputably near the haut, retour au début of that liste is Barbra Streisand.